While holidays exist all around the world to give thanks for our many blessings, today’s celebration commemorates the traditional American Thanksgiving Day. Its roots go back to 1621 when 50 Pilgrims gathered with 90 members of the Wampanoag tribe to celebrate the settlers’ surviving the first year in their adopted country. The fourth Thursday in November was not officially recognized as a national holiday until 1863, when President Abraham Lincoln, convinced by the letters and appeals by Sarah Josepha Hale (writer of the song “Mary Had a Little Lamb”), signed the proclamation. During the Great Depression, president Franklin Roosevelt moved the holiday to the third Thursday in the month, hoping to jump-start the gift-buying season and thus help the struggling economy. That idea never caught on, though, and the Thanksgiving was moved back to its original calendar spot. To lean more fascinating facts about Thanksgiving, visit allParenting. Image copyright Archie Preston, 2015, text copyright Eileen Spinelli, 2015. Courtesy of Zonderkidz. Gardeners are happy when their crops begin to grow, and firemen are glad when the fire goes out. “The poet is thankful for words that rhyme. The children for morning story time.” Without color and light, the artist could not paint, doctors give thanks “when their patients get well,” and travelers are thankful when they find a nice place to stay. Dancers give thanks for music that inspires them, and tailors for their sewing machines. Eileen Spinelli’s endearing story of thanks for all of the objects, ideas, actions, and feelings that make every person unique and each situation just a little bit better is a heartfelt reminder of life’s joys for Thanksgiving Day and every day of the year. Her easy-flowing, rhyming verses depict a wide range of particular moments and broader experiences—each of which make the world a richer place. The final pages reveal what every little reader wants to hear and share—the mutual love between parent and child. Archie Preston accompanies each couplet with a humorous illustration starring two adorable siblings playing out each scenario. Preston’s colorful, detailed line drawings show all the industrious, playful, and thoughtful togetherness that makes children and adult readers thankful for every day. Discover more about Eileen Spinelli and her many books on her website. There are so many things to be thankful for! 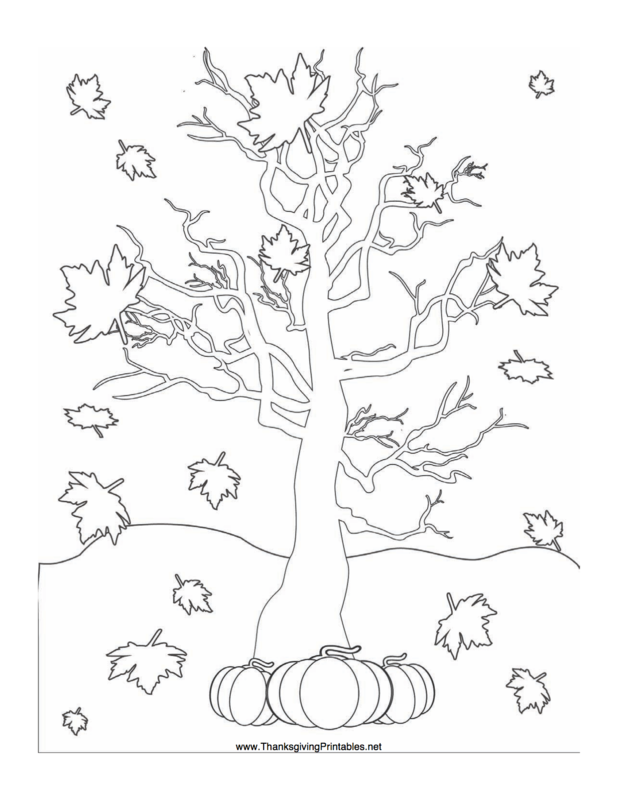 Fill in the leaves on this printable Thanksgiving Tree Activity Page with the things you’re thankful for then color the page! Can it be that National Book Month is almost over? No worries, though! We’re about to start Picture Book Month, so gather as many books as you can from your local bookstore and library and enjoy the best activity there is! There’s no denying that mirrors are beguiling. Looking into one shows you just what you look like—or does it? Well, left is right and right is left, but a mirror gives you a pretty good idea whether your hair looks good, your outfit matches, and if you’re ready to face the world. Little ones, especially, are mesmerized by mirrors that give them the first glimpse of themselves and their smiles, frowns, and giggles. Copyright Monte Shin, 2018, courtesy of Minedition. The magic of mirrors to reflect an image is used to remarkable effect in Monte Shin’s cool and clever Mirror Play. The book’s ingenious design includes twelve thick pages in the middle of which is set a colorful, and sometimes complex, shape that rotates a full circle. A shiny surface that creates a perfectly clear reflection is incorporated into a fold-out attached to the back cover. Together, these two elements can keep children (and adults) riveted to the many figures that can be made simply by setting the mirror at a 90-degree angle in the middle of the page and turning the shape this way and that. One stop along the shape’s trajectory creates an image that is instantly recognized and which answers the question on the next page. For example, the first page contains a blue cone with a wing attached to its left side floating on a red background marked with chalk-outlined clouds. Set the mirror at the provided notches and turn the cone slightly, and an airplane appears! Turn the cone more and more and you find what might be a butterfly, a jet, a tent, a clothespin, a kite, a gavel, and an arrowhead. Turning the book to the right, to the left, and upside down also provides new perspectives on the shapes and images that appear. On a page splotched deep red, a curious shape might become a water beetle, an alien, a fish, a badge or an acorn, a heart, a rabbit, two birds beak to beak, a fly, and a mosquito. Backdrops of a lily pad, a block of cheddar-cheese yellow, polka dots, leaves, and a mountain peak, among others, give young explorers hints as to what the asked-for figure might be. Finding the answers to these questions is fun, but it’s only the beginning to discovering a world of geometric shapes, abstract designs, and imaginary creatures. Mirror Play is an excellent choice as a gift for toddlers and preschool children. It would be a go-to book for interactive story times as well as for taking along on outings or whenever waiting will be part of the day. Older kids may also enjoy the challenge of discovering the various shapes and designs they can make with this “magic” mirror. With some popsicle sticks and markers, you can make a colorful matching game for little ones! On a table or the floor, children can lay the sticks down to match the same shape or color until all the sticks have been used. Sticks can be laid down end-to-end or end-to-side. Older children may enjoy making their own sets of Shape Sticks and experimenting with a larger number of sticks and different patterns and colors. There may be no vegetable/holiday match quite like pumpkins and Halloween. While pumpkins make delicious pie for Thanksgiving, bread and muffins for a fall breakfast or snack, and even flavor lattes and smoothies, it’s their use as jack-o-lanterns that really make pumpkins seasonal stars. There’s something a bit magical about a fluttering candle lighting up a scary or funny orange face on a front porch or door step, and if you’re a fan of painted pumpkins, they have a style all their own too! To celebrate today, head out to your local farm market or pumpkin patch to pick out the perfect pumpkins for making jack-o-lanterns and your favorite treats! As the sun set, painting the sky purple and indigo, there were “five little pumpkins sitting on a gate.” When the full moon smiled down, “The first one said, ‘My, it’s getting late!’” They watched the witches take to their brooms, the spiders come out to play, and the ghosts rise and float through the forest. The five little pumpkins wanted to run and play too. Image copyright Ben Mantle, 2010, courtesy of Tiger Tales Books. Ben Mantle’s adorable take on the Halloween classic nursery rhyme for babies and toddlers offers cozy shivers, sweet smiles, and cute wide-eyed wonder for little ones dazzled by this spooky fun holiday. Saturated blues, purples, and greens set off the brilliant orange of the playful pumpkins as they abandon their post on the gate to have a midnight romp. The wide grins on all of the holiday haunters—witches, whose brooms paint starlight across the sky, tiny pink monster bats, hopping toads, a bounding cat, hairy-legged spiders, and gauzy ghosts—will make young readers giggle with delight as they roll into bed while the five little pumpkins return home. Five Little Pumpkins, with its soft padded cover and sturdy pages, is an enchanting book to add to home bookshelves for the fall season, Halloween, and beyond. To learn more about Ben Mantle, his books, and his art, visit his website. With acorns falling tap, tap, tap in bushels on the ground and other delicious nuts readily available in grocery stores and farmers markets, autumn is the perfect time for this craft that turns nuts into pumpkins! Hold the acorn with the flat side down. The little tip will serve as the pumpkin’s stem. If you live in an area where there are no oak trees, you can use walnuts or other nuts available in grocery stores. These do not need to be baked before using. Established in 1993 as a celebration of culture and the arts, National Arts and Humanities Month encourages people to begin a lifelong love of exploring and participating in the arts. Throughout the month, special events are held by arts organizations in communities around the country. 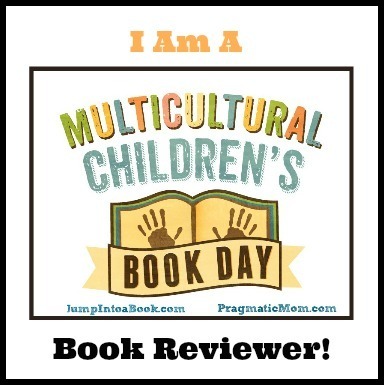 A terrific way to instill an appreciation of the arts and humanities in children is to share books like today’s with even the youngest readers. Opening Squares & Other Shapes, readers encounter a vibrant magenta square nesting in an autumn maple leaf-hued square which floats in a square of clear, winter-sky blue. On the next page two orange squares beckon you to follow into the glowing, yellow center square. Could it be a doorway or window leading somewhere? Now circles want a turn, and they want to have fun! In a large black rectangle a white circle and a red circle play stoplight: “Circle, Circle, Stop!” while on the next page blue, black and spirally circles jump and frolic—“Bounce, Circles, Bounce!” Turn the page—can you count all of the little circles in the rectangle or all of the baby circles in the rectangle on the right-hand page? Some of the babies are leaping away—or are they just joining the group? What do you think? Following the paintings, the last page provides a captivating biography about Josef Albers’ life and work aimed at the book’s young audience. Imagine being able to own a stunning collection of famous paintings by a world-renowned artist and educator to teach your child about shapes, color, and art. With Squares & Other Shapes by Josef Albers you can! The second in the First Concepts with Fine Artists series, Squares & Other Shapes presents readers with more than 30 painting by Josef Albers, one of the most influential artists of the 20th century. Most well-known for his Homage to the Square paintings, Albers worked with color and shapes to challenge perceptions and promote creative thinking. Shapes are one of the earliest concepts introduced to babies and young children. Even the youngest readers will be riveted by the beautifully reproduced paintings in this large board book that present squares, circles, rectangles, and trianges in clear but creative ways. 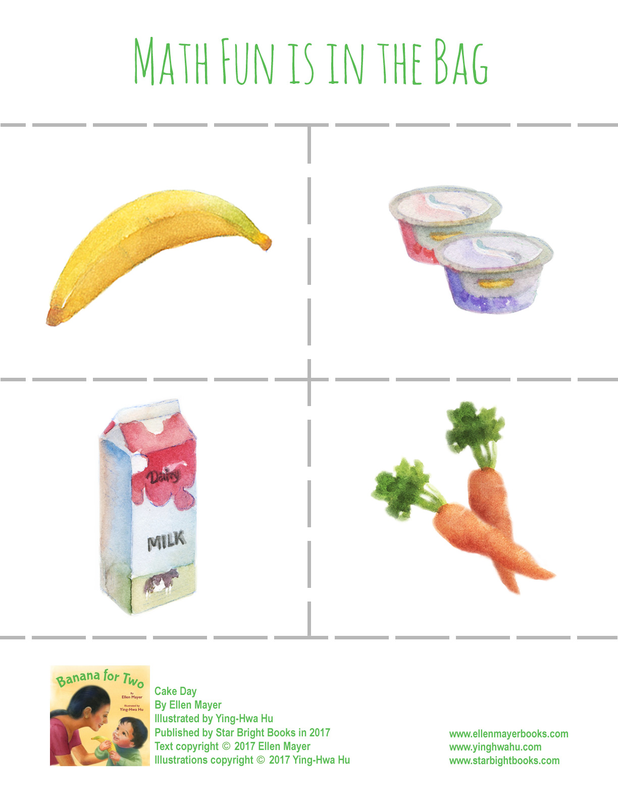 The easily understood labels, repetition, and recognizable patterns offer key strategies that are known to build strong reading and comprehension skills. Kids will love the humorous text that brings the paintings to life, helping them to also see that art is not static, but active and open to interpretation by each viewer. Squares & Other Shapes with Josef Albers is a wonderfully conceived concept book that can grow with children as it offers readers enjoyment and education on so many levels. The book would be an often-sought-out addition to home and library bookshelves and also makes a perfect present for baby showers and other gift-giving holidays. To make art like Josef Albers, kids can use these printable shapes to create their own pictures! Cut out the shapes and let kids put them together in various patterns. This is a fun activity for adults to share with younger children too!